In the heart of the forest, discover an unmissable destination at the gates of Paris. The hotel offers experiences and panoramas awakening all your senses. 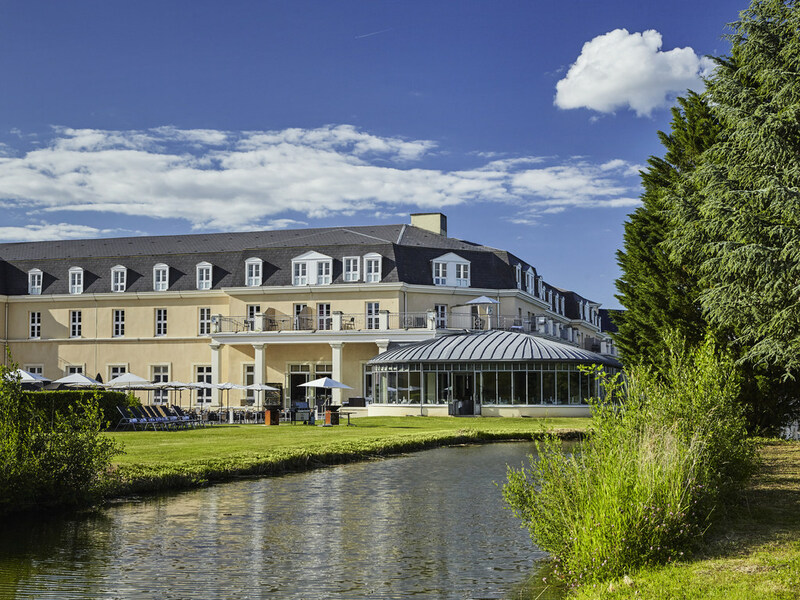 Discover the historic city of Chantilly, stay in a Resort with 175 rooms and 25 suites, indoor and outdoor pool, fitness room, golf, dining areas offering varied culinary courses (2 restaurants, 1 bar and 2 Terraces) and conference space in daylight. The Donatello Restaurant offers bistro dishes in a chic, relaxed setting. Let Chef Jimmy Elisabeth's food transport you, with recipes reminiscent of his childhood and affection for international cuisine. Be it with family, colleagues or friends, the modern Donatello Bar welcomes you from 4 p.m. to 2 a.m. Enjoy our "quick" menu and cocktails on our terrace in the summer, overlooking the golf course.